Dawn of War II is a Warhammer 40k based RTS that was massively successful when it came out in 2009. To many people’s dismay it used Game of Windows Live as its multiplayer and even with these hurtles it was massively successful. Fans asked for years for the developer Relic Entertainment and its then publisher THQ to remove Microsoft’s Game for Windows Live. Relic was bought by SEGA in 2013 and with that all their game’s transferred ownership to SEGA. Seems they don’t have plans on abandoning support for older titles since a new update (2.6.0.10216). 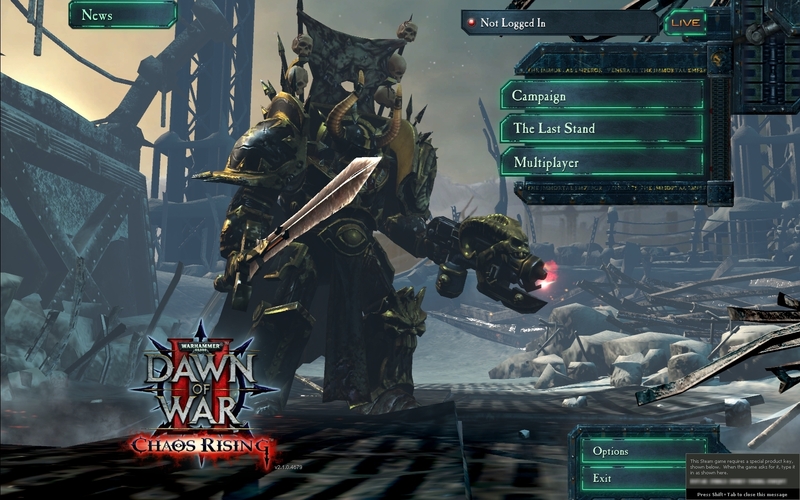 Not only that, this and its predecessor Dawn of War 1 have now been moved to dedicated servers. This is a big update for the game that fixes a lot of lag experienced by players. Game also uses Steamworks for matchmaking, but since the removal of GFWL it will be impossible to unlock achievements, but there will most likely be a update on steam to add Steam achievements in the near future.